Speech Pathologists are licensed professionals who can diagnose and treat disorders that are associated with vocalization, understanding of languages, swallowing, eating, along with the functionality of the mouth and throat. Speech Therapy (ST) can improve your communication skills, provide strategies for better swallowing, ensures good nutrition and hydration, and enhances cognitive ability. 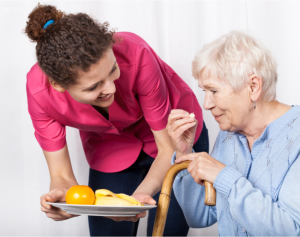 At West Coast Nursing Ventura, Inc. our well-trained and knowledgeable team of Speech Therapists (STs) provides treatment services that will allow you and your loved one to communicate more effectively and enhance oral motor skills to ensure safe swallowing while eating or drinking. Custom plans are designed around physician orders and is tailored to your specific needs to provide the best results possible. 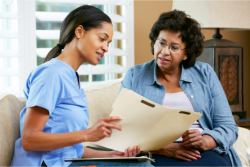 In addition to Speech Therapy and Language Pathology, West Coast Nursing Ventura, Inc. also offers other services related to home health care in 2955 E. Hillcrest Drive Suite 121 Thousand Oaks CA 91362. Please call us at 805-496-0900 to request for an assessment.